My husband had been going to the annual Big Brother of Boston golf tournament since it started. They always have a big silent and live auction. This year my husband came home with 4 tickets to Aerosmith. We had great seats and even the kids enjoyed it! Guess what…yup, I took a lot of pictures and made a small slide show. 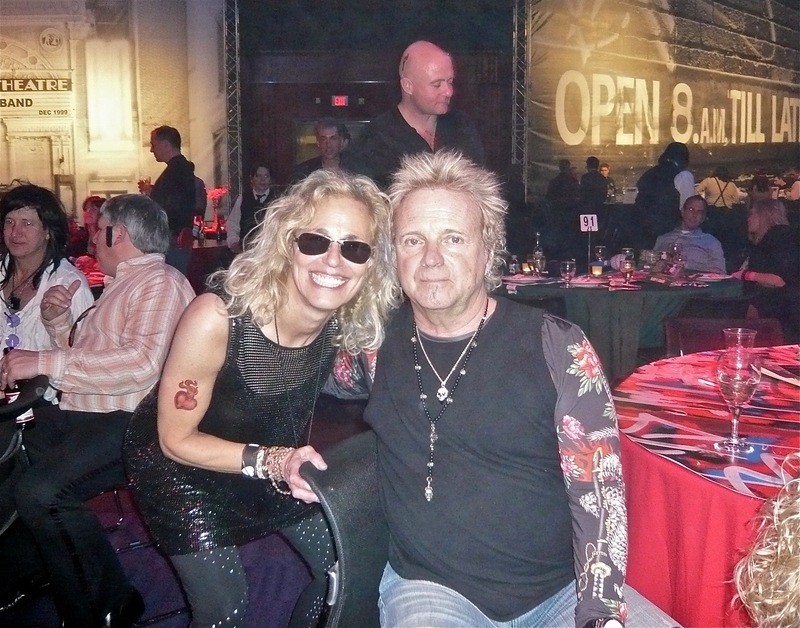 The other picture is of me and Joey Kramer at the 2009 annual Big Brother Event. Click on the picture of Steve Tyler and Joe Perry to watch. Tyler and Perry look so cool. Stunning images! I think you had a great time and you look just like her, I thought it was you ! What fun! I love your tat! you know it’s real, right! You almost had me for a second! yes his solo was fantastic, we all had FUN! Great concert shot; you look like you could be part of the band, Rock Star Gail! thanks, that picture was taken in 2009 at a fund raiser for the Big Brother of Boston annual gala. You look fantastic in that outfit with the tat! Your photographs are stunning! They look like professional album covers! WOW. So envious of you. What fantastic photos you took! You are so lucky! I loved film clips. I am a huge fan of Aerosmith. My favorite band of all time. I wanted to see them when they came to Olympia, not too far from PDX, but I wanted the backstage tickets. $1250 per person, we stayed home. Thanks for sharing. we had a good time, and so did my kids(16 &18)! How can you not like them..they are from BOSTON!!! !